In the race to develop commercially-viable zero-emission vehicles, car manufacturers are keen to be on the cutting-edge of fuel cell research and development. 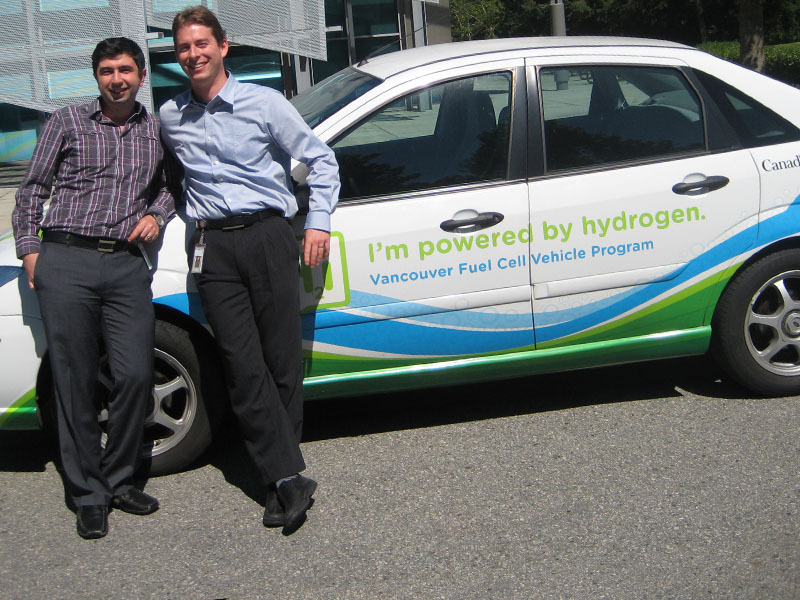 Burnaby-based Automotive Fuel Cell Co-operation (AFCC) is a key player in bringing Ford and Daimler to the forefront of the industry as the sole supplier of fuel cell stacks to these companies. The company is working with tight industry deadlines, hoping to commercialize their fuel cells for use in consumer vehicles within a few years’ time whilst competing against the likes of Hyundai and Toyota. As part of its bid to be on the cutting-edge of the technology, AFCC engaged in a Mitacs Elevate Post-Doctoral Fellowship with Dr. Ehsan Sadeghi of Simon Fraser University to develop accurate models of platinum alloy catalyst deployment used in the operation of a vehicle fuel cell. Through the close collaboration of academia and industry such as this between Drs. Sadeghi and Eikerling and Automotive Fuel Cell Co-operation, Mitacs Elevate is playing a part in taking the automotive industry into a more-sustainable 21st century.